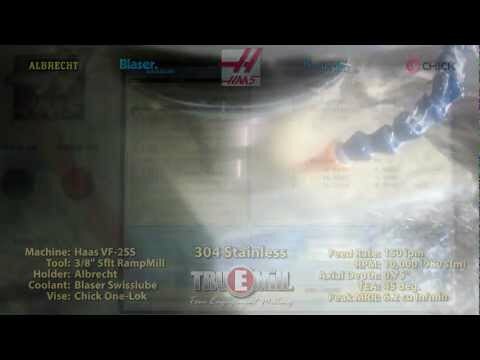 420 Stainless cut with Surfcam's Patented TrueMill cutting path. 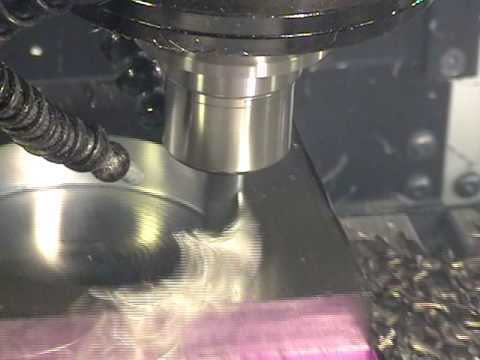 This was machined on a Makino S56 (15hp). 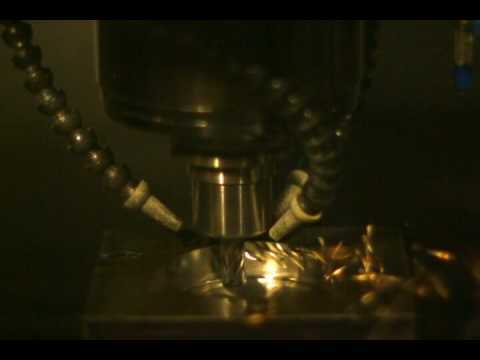 The tool is a 3/4'' OSG Exocarb SUS with a .040rad. 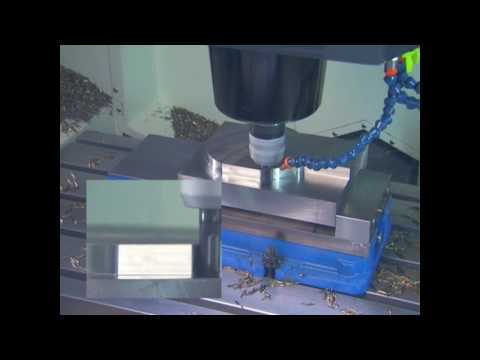 Cutting parameters are: 6500 rpm / 125 ipm / .700'' doc / 53deg eng (.15 stepover). 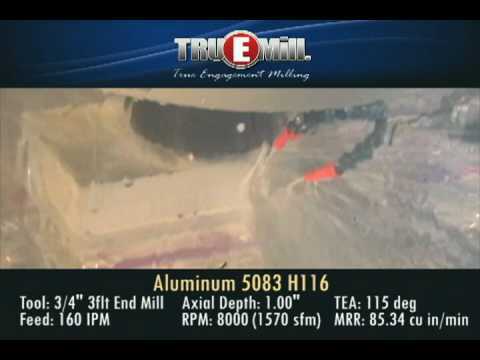 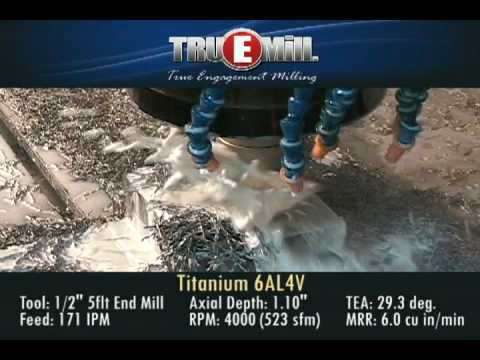 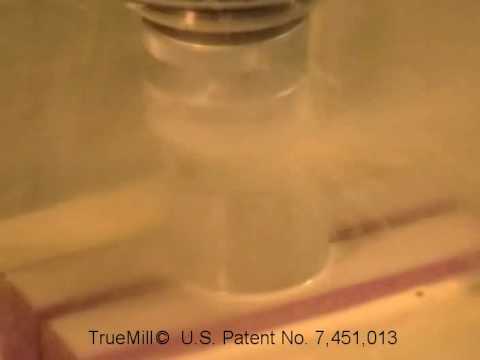 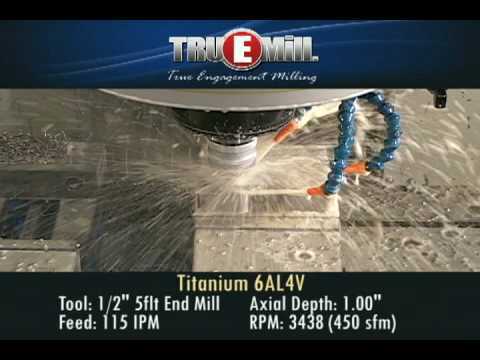 Surfcam's TrueMill peeling chips out of a block of 1018 steel with a TrueMill certified SwiftCarb endmill. 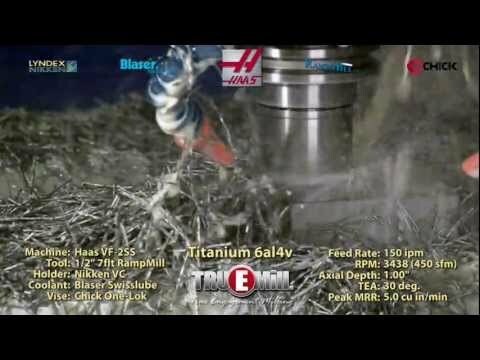 9600 rpm / 200 ipm / .75 doc / .5'' Swiftcarb endmill. 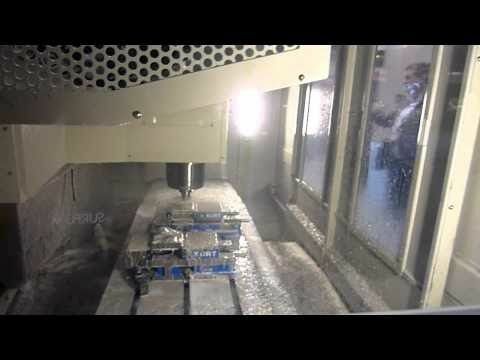 Demo cutting 4140 alloy from the Hardinge booth at IMTS 2010. 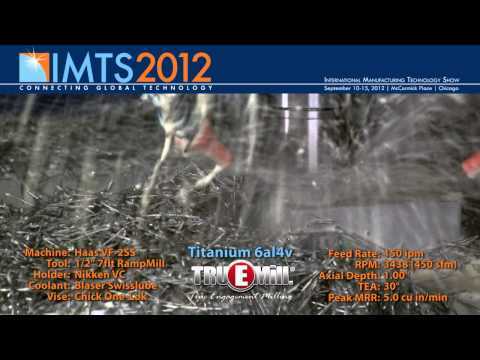 A sample of the types of demonstrations being performed at IMTS 2012.